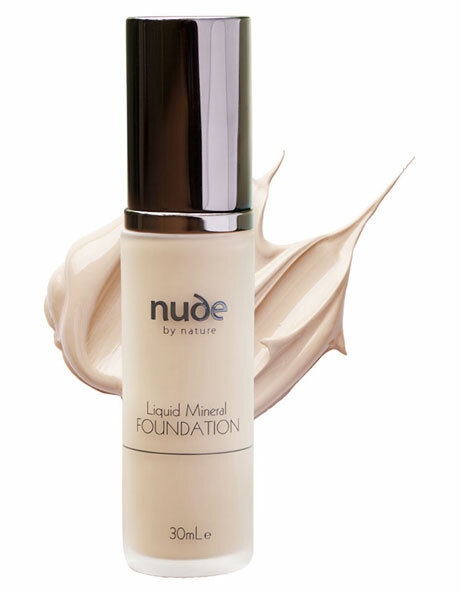 From Australias premier Mineral Brand, comes a Liquid Mineral Foundation so smooth and blendable, you wont believe its naturally derived. The formula is light-weight, buildable and contains revolutionary emollients giving you a perfect glide-on application and a long-lasting, dewy finish. Thanks to skin enhancing ingredients like Vitamin C & E, Jojoba, Green Tea as well as Australian native ingredients including Lilly Pilly, Quandong and Kakadu Plum, your skin will look fresh and radiant with every application! There are no Parabens, Talc, Silicones or Bismuth! After preparing your skin with the Mineral Primer, smooth the Liquid Mineral Foundation across the skin with fingers or a brush. Continue to build the application until the desired coverage is achieved. Complete this flawless look with the Mineral Finishing Veil to set and ensure flawless all-day wear.